We start the episode with Rose telling The Doctor that she wants to go back and see her father. Sadly, she never got to know him, as he, Pete Alan Tyler, passed away in a traffic accident in 1987 when she was just a baby. That would qualify as a rather nice, sympathetic time travel request. But things are about to get weird. Once she’s seen him alive, she then wants to go back to the point when he died. And for some reason, The Doctor agrees to this. Twice. Rose disobeys The Doctor’s direct command and intervenes, saving her dad’s life, and hey-presto, we have ourselves a paradox. Suddenly Reapers, time-ingesting demons who may be there to right the wrong and thus ‘Final Destination’ Pete out of the world of the living, or who may just be a temporal plague consuming all life in the universe, appear out of nowhere, and suddenly Doc, young adult Rose, baby Rose, Pete and 40-year-old teenage Jackie must hole up in a church and figure out how to clean up this mess. Love those rolled-up jacket sleeves, Pete. Jackie was lovely as a ... *ahem* ... 19-year-old. "But it's just as big on the inside!" If you look closely, you can see at least three different sets of genitalia in this Reaper. 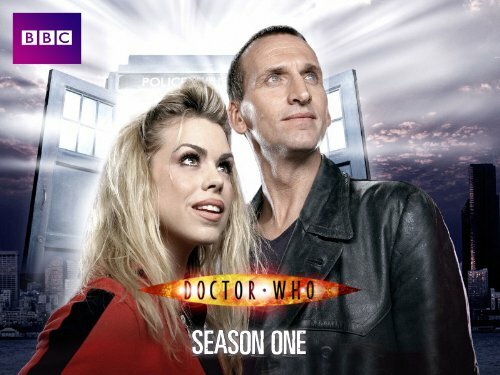 Put simply, Father’s Day exemplifies Doctor Who’s uniqueness as a show. Only Doctor Who gives us a soap-opera about father/daughter issues one-week, and in others gas-mask zombies, a Victorian ghost story,…and farting aliens. However unlikely, this episode is easily one of the highlights of Eccleston’s tenure on the show. This story has heart, the story-telling so human that a certain bitchy trampoline should be taking notes. The Doctor that hates the domestic has a lover’s quarrel with his companion, Rose meets her hero-figure of a father and is confronted with his death, the soon-to-be husband and bride telling the simple tale of a cab ride home. This is an episode that celebrates humanity for all it’s faults and all it’s beauty. Paul Cornell, one of the accomplished writers of the Wilderness era turns his talents to the domestic and knocks it out of the park. It’s a real shame he hasn’t been called to write more for Who when this episode is about the best CV he could have. In the broader context of Doctor Who, what we have here is a reverse base-under-siege, the format that so typified the Troughton-era. The Reapers are the invading force, scraping away at the Church walls as The Doc and co. have interior drama. It’s fitting then that this episode also inverts a lot of episode to episode Doctor Who staples. The TARDIS becomes a real police box, empty with four walls and a phone; the Doctor and Rose revisit the same event twice; The Doctor himself is killed, and not just that, but by a personification of Death, a Reaper. Honestly, even seeing the 9th Doctor in just his jumper is weird! The culmination of this is Pete Tyler, a man who bickers with his wife; a budding council-estate entrepreneur; basically Del Trotter when viewed not as comedy, but as a real human being, the ultimate every-man. This man takes the role of the hero, the role of The Doctor, and saves the day at the cost of his own life. As a certain singer once said: “What if God was one of us?”. The ‘Doctor is God’ thing that I won’t shut up about for some reason is inverted here, and the every-man is God. And isn’t it beautiful that in his final moments he sees his grown-up daughter, here to comfort him? Only Doctor Who could give us an episode so tangled in past, present, and future, that culminates in a moment where all three meet in such a profound and beautiful way, in such a human way. Father’s Day gets a 4.2 from me.